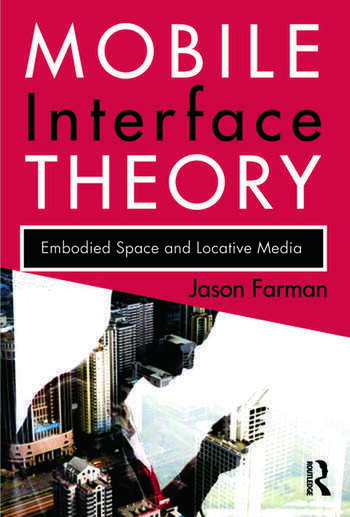 One of the most exciting things in the Mobile Storytelling class this semester is that we are among the first courses to use former WSU Tri-Cities and current University of Maryland professor Jason Farman‘s new book, Mobile Interface Theory: Embodied Space and Locative Media, published by Routledge. “The term “mobile” has been applied to technologies as early as papyrus, when the written word became transportable across a broad geographic space. Today we typically tend to attribute the word to digital devices such as “mobile” phones, GPS units, tablet computers, and gaming systems. Thus, the notion that mobile technologies are new is indeed shortsighted. Throughout history, when a medium that was once understood as geographically fixed becomes mobile, a cultural shift accompanies this transformation. As writing moved from inscriptions on stone to marks on a piece of paper or papyrus, the world changed. Not only did the human thought process become revolutionized as the process of writing could more closely match the speed of thought, but these thoughts could be spread globally. Thoughts were no longer geographically specific; that is, you didn’t have to travel to a particular place to read an inscription. Instead, the inscription came to you. This entry was posted in WSUV courses by Michael Rabby. Bookmark the permalink.